Ecommerce platforms are a must-have in this era of technology-driven business. They facilitate the smooth running of online stores; from their website to their inventory, sales, and other business activities. SaaS ecommerce platforms save you the development cost and trouble of coding your own software, give you unlimited bandwidth and offer you and your clients better security. 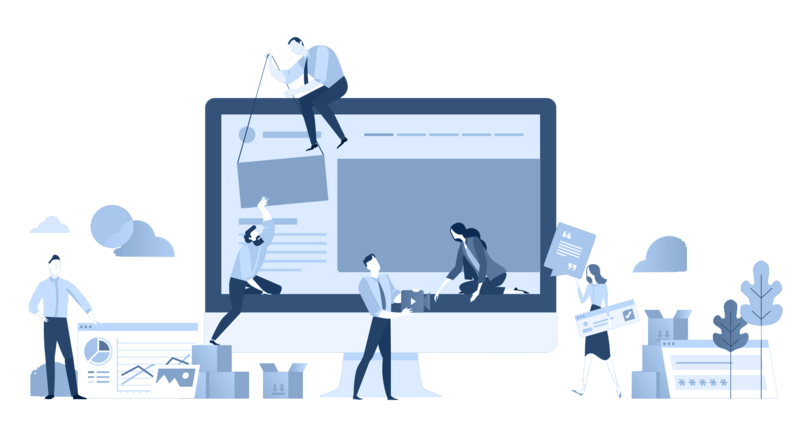 They take care of the technical part of running an online business so that you can focus on other vital issues like product development and marketing. The factors to consider when selecting a suitable ecommerce service provider include their ability to offer social media integration, customer service, and package cost. Here is a list of the most popular providers to guide you in making this crucial decision. Shopify tops the list for the most preferred ecommerce platform due to its flexibility and wide array of features. It is so user-friendly that all you need to do is sign up, confirm a few details and in less than 30 minutes, you’re done! Shopify boasts ten free and over sixty premium professional and modern themes, making Shopify storefronts readily customizable. Using a Shopify ecommerce platform you can create an SEO-friendly website with a myriad of apps to increase your store’s functionality. For online transaction security, you also get a free SSL certificate. Shopify’s dedicated hosting means you get unlimited bandwidth for all plans. In addition to that, they offer social media integration and POS for your physical store. However, they charge a transaction fee for payments made through other gateways instead of their Shopify Payments. They offer five tiers with these charges per month: lite ($9), Basic ($29), Shopify($79) Advanced Shopify ($299) and Shopify Plus, priced by quote. Next up is BigCommerce, whose buzz in the ecommerce space is increasing by the day. They offer numerous features for your store and the best storefront design that helps you customize without having to click back and forth. Moreover, BigCommerce enables you to integrate products from other platforms, offer a free SSL certificate, SEO marketing, 24/7 customer support, blog functionality among many other amazing attributes. They have no additional transaction fees. BigCommerce offers four packages with the following monthly charges: Standard ($29.95), Plus ($79.95), Pro ($249.95) and Enterprise that is charged by quotation. Volusion is another well-liked ecommerce platform, having served over 185 million orders and generated well over $28 billion in sales. It may be pricier than most, but offers the finest online store optimization tools; SEO, SSL certificates, Custom Domain, easy to navigate search feature for your customers, and multiple shipping options, among others. Prices start at $29 per month for sales revenues below $50,000 and for clients generating over $500,000 per year, they charge $299 per month. An open source ecommerce provider, it is used by bloggers on WordPress seeking to venture into ecommerce. It is an excellent option if you’d like to configure everything (codes), has over 400 responsive themes, multiple payment gateways, unlimited products, and many other remarkable features. And, it is free, only requiring you to have a WordPress-hosted site where you install and configure it. The only catch is its scalability issue; it slows down with an increase in traffic. Whether your chosen platform is a premise or cloud-hosted, you will benefit from having a reliable online business partner to help you take care of your pricing, professional reporting, promotions, and your device customization needs. These, among other functions, will propel your online store to greater heights. When making this decision, be sure to call their dedicated customer service to get better information, and try out their free trials before committing to a specific ecommerce platform.